Yes! Stampin' Up! 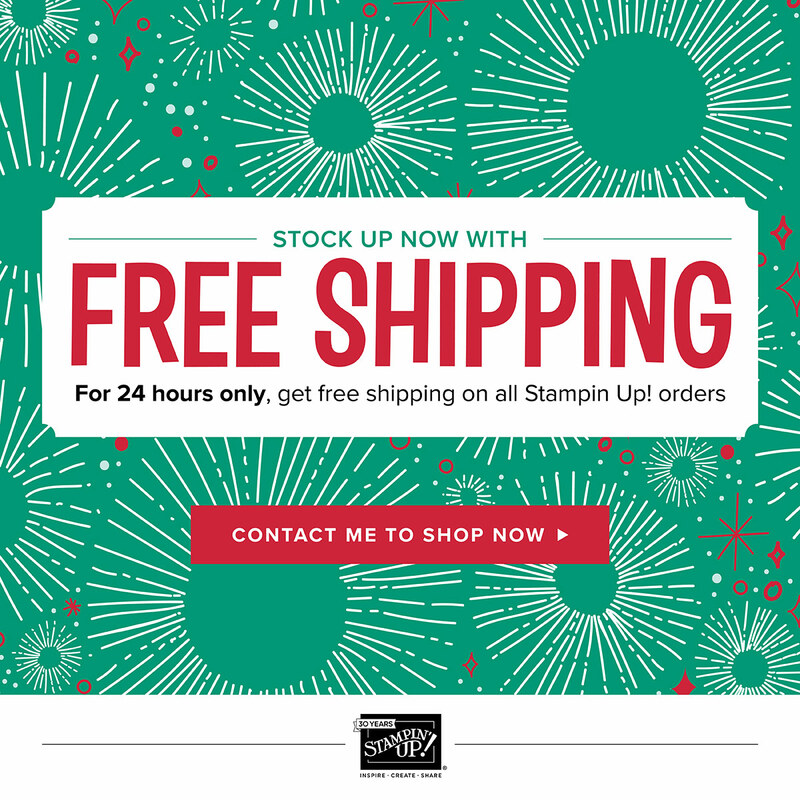 is offering free shipping on your entire order on Monday starting at 12 am Mountain Time and running until 11:59 pm Mountain Time! 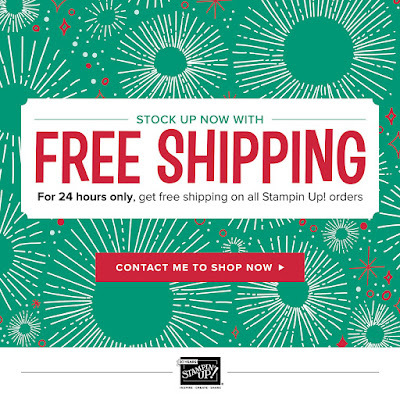 Everyone loves free shipping so don't miss out on this great deal. Use the hostess code TKYH3WPT for the December Mystery hostess give aways. You can order online or send me your order and I'll gladly enter it for you. have a great weekend. Enjoy your blessings! Happy Thanksgiving! I pray you have a great day whether you are spending it with family or friends or maybe you have to work like my son-in-law who is a police officer and will be working and my son and daughter in law who are nurses, we know about working on holidays. I pray for you a blessed day and a time to enjoy all the blessings you have around you. Thank you for taking the time weekly to visit me here. I really appreciate you stopping by and I love your comments. I have a small piece of a project to share with you. I created this 5 x 7 piece as part of a wall hanging. I will have a sdesign for each season. This is the fall one and I love the saying in the Painted Harvest set (144783). So today we will be gathering together and giving thanks. 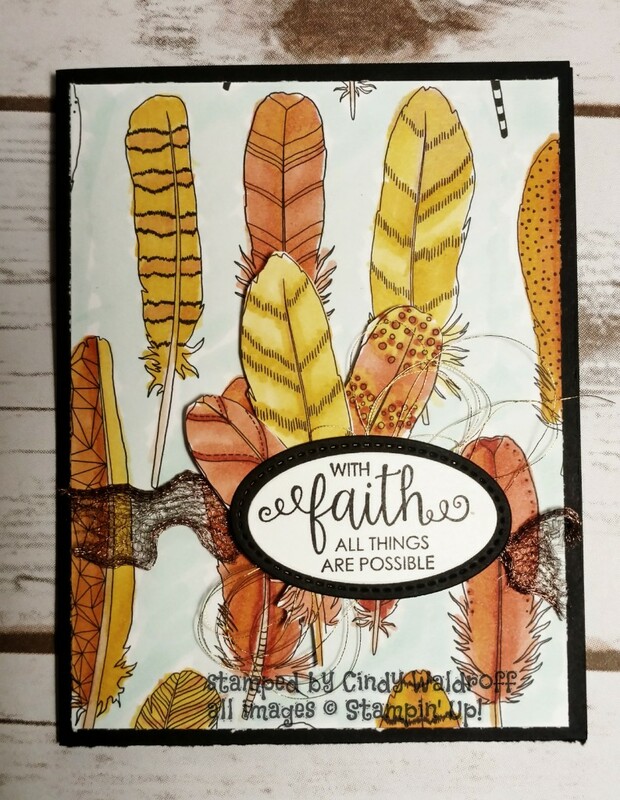 I used the Painted Harvest sunflower on the background of Crushed Curry cardstock. The embellishments are thinlets from the Patterned Pumpkin Thinlets dies (144670) and the Seasonal Layer thinlets (143751). 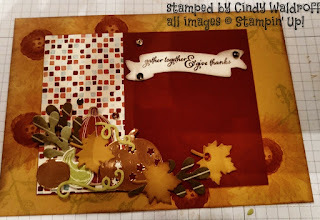 I love the little pieces of copper foil and the Painted Autumn Designer Series paper (144613). Hope you like this one. I think it's a keeper! Short story today- I'm off to bake a sweet potato casserole and ice some awesome Thanksgiving Day cookies. Today count your blesings! I'm startaing with you. 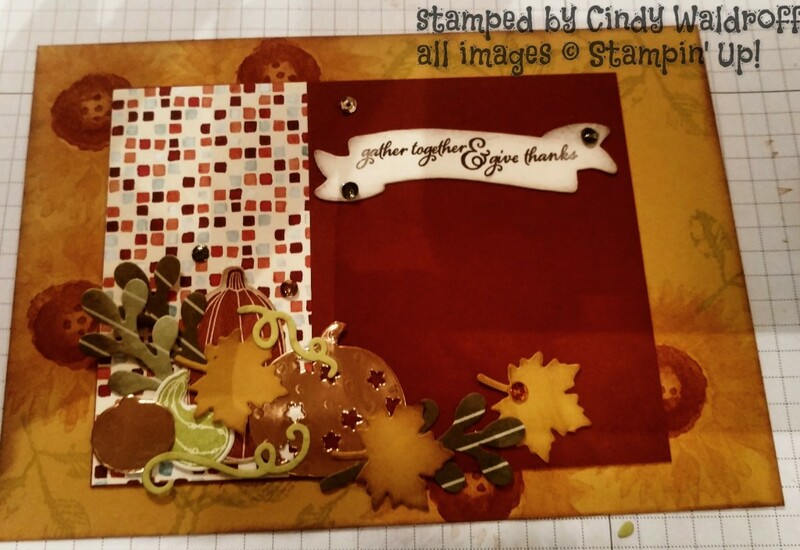 Welcome to the November Stampin' Friends Blog Hop! 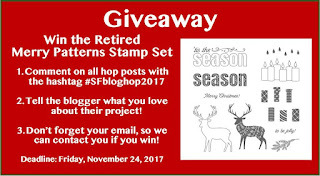 We had a great hop last month and Cheryl Schuessler is our blog candy winner. If you came from Sue's blog , thanks for continuing on the hop. Stay tuned for details on this months blog candy. Tuesday was my birthday! Tombo took me shopping , it was strange to hear the Christmas music playing. It was November 14th! But the reality is Christmas is coming fast! I hope you have already started on on all your Christmas projects, but just in case you need some last minute ideas you have come to the right place. I have jumped on the Merry Cafe and Coffee Train this month. If you have been on facebook or very many blogs recently you have seen the coffee candles! They are everywhere. What a great little gift for a teacher, office mate, neighbor or as a table gift for a ladies luncheon or an open house. The ideas are endless. Aren't these cute? You basically make a square box 2"x 2"x 2" and add a back piece. 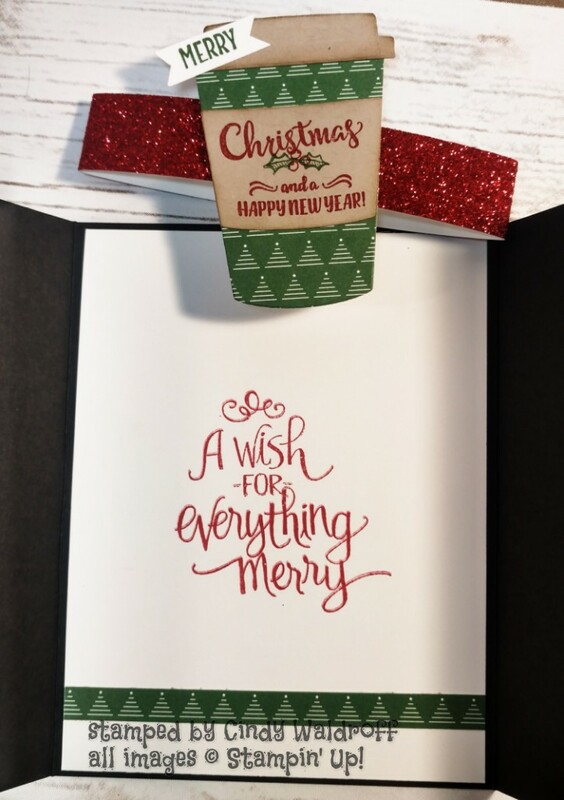 Decorate with Designer Series paper, stamp a greeting and your done. The back piece is doubled for strength, but can be made to hold a gift card. The card I made is a gate-fold card. It was one of the first cards I ever made and I think it was what captured my interest. Take a 5 1/2" x 8 1/2" piece of card stock and score at 2 1/8" from each end. 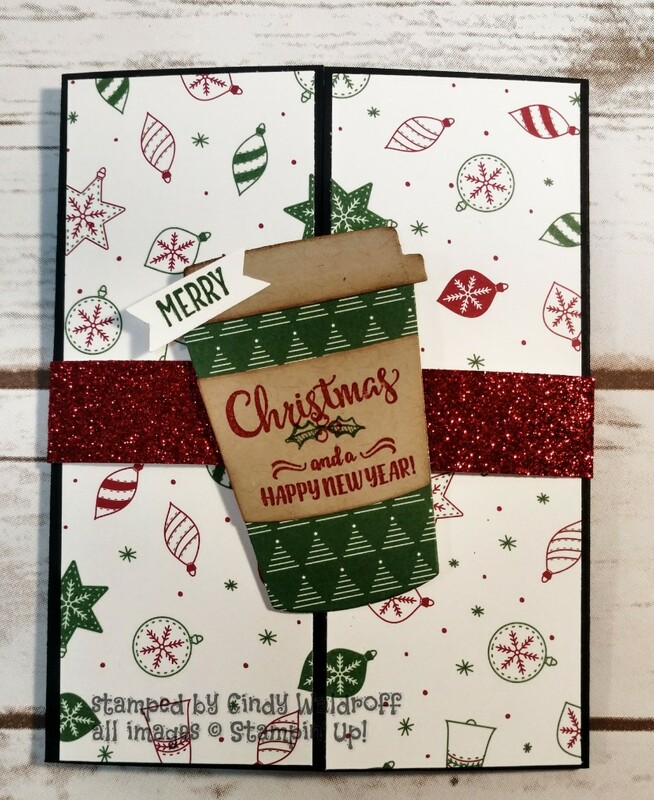 The DSP is 2" x 5 3/8" from the Be Merry Designer Series Paper in the annual catalog. For the belly band I used a 1" strip of Red Glimmer paper folded around the card with the cup from the Coffee Cafe framelits cut out of the same paper using the opposite side. This card really is a quick one to make that looks like a WOW card. We have blog candy this month, so be sure to comment on each blog with the #SFBlogHop2017. Tell the blogger what you love about their projects. Also be sure to leave your email so we can contact you if you win! Keep hopping because you are going to love Andrea Tracy-Tucker's projects! Have a great day! Thanks for stopping by, please continue on the hop and Merry Christmas. Be blessed and have a great day. 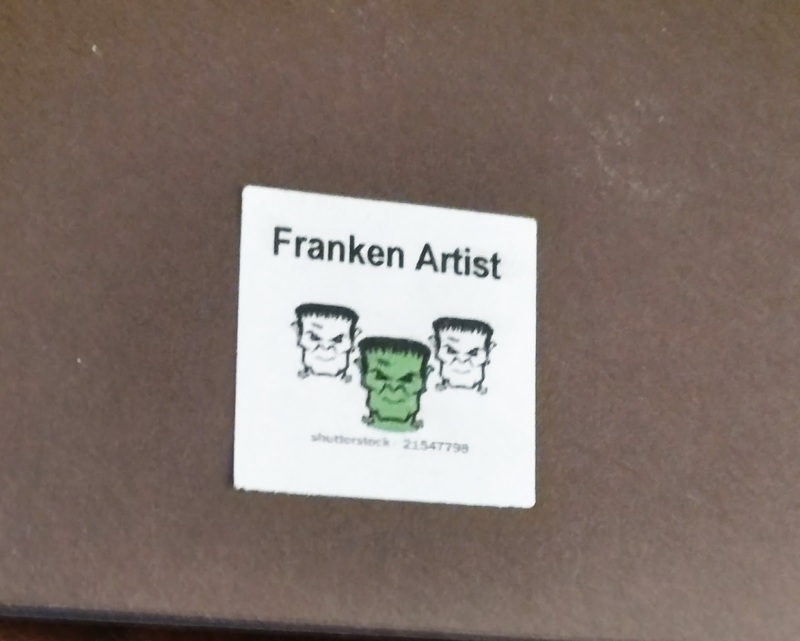 Franken Artist and Big News! Hey Star Stampers! Very important- read to the end!! !Hope you are having a great week. Just returned from Salt Lake City Monday night late and yesterday was my birthday! It was a great day, but I have to share my birthday card from my dear Hubby, Tombo! So Tombo isn't really an accomplished stamper. He helps me and does really good on some things but, design and actual stamping- he still needs practice. So when he gave me his card I was blown away. It was really pretty good! I looked at it though thinking it kind of looked familiar, but not really. I know it wasn't one of my stash but something rang a bell. So where did this card come from? Tommy took several cards and card fronts from my swaps and pulled pieces off and created his own card. On the back he printed and placed a little tag - Cracked me up! Okay, I will admit I didn't get it right away. He had to explain, like Frankenstein was put together from different pieces- so was this card. One of the things I love about this man, he has a different sense of humor! 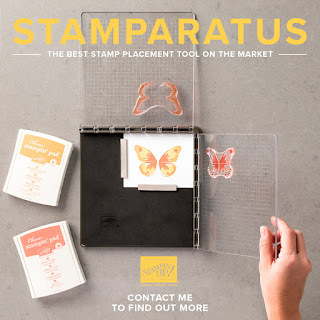 Stamparatus! It will not ship until February nor will you be billed until it ships. But you will be in the first group to get your hands on this great tool. There will be two more reserve windows if you don't get in on the first one. Don't miss out on this opportunity. Okay. Gotta run. Have a very blessed day and be a blessing to those around you. Good morning! Pulled the sweatshirts out last week, but needed the flip flops and shorts again this morning! Yep, you know you live in Alabama in the fall where it's in the 40's one morning the 70's the next! Today's card as indicated in the title is Not my usual style. 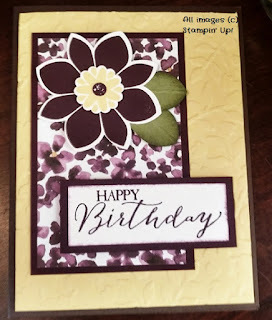 I have continued to play with the new STampin' Blends this week. 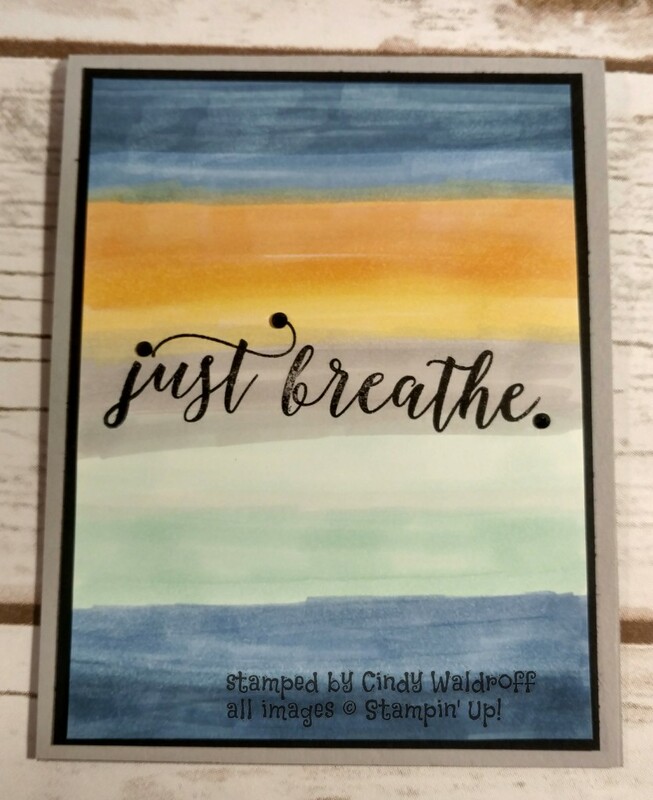 So the background for this card was a piece of Whisper White I was just practicing on blending and color combinations. I kind of like it thought. It is for a special person going through some rough times. More importantly, I think she'll like it. I love the "Just Breathe" stamp from Colorful Seasons stamp set. 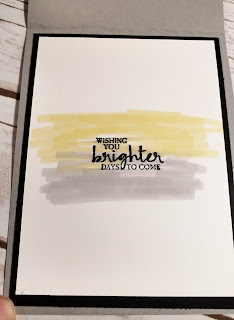 I used the Marina Mist markers, light and dark, the Daffodil Delight light marker with a little light Calypso Coral at the top and more of the Marina Mist. The middle section is light Smokey Slate, I added black rhinestones to the dots for a little bling! Interesting! I think I'll need to keep practicing with this idea. Here's the inside of this card. 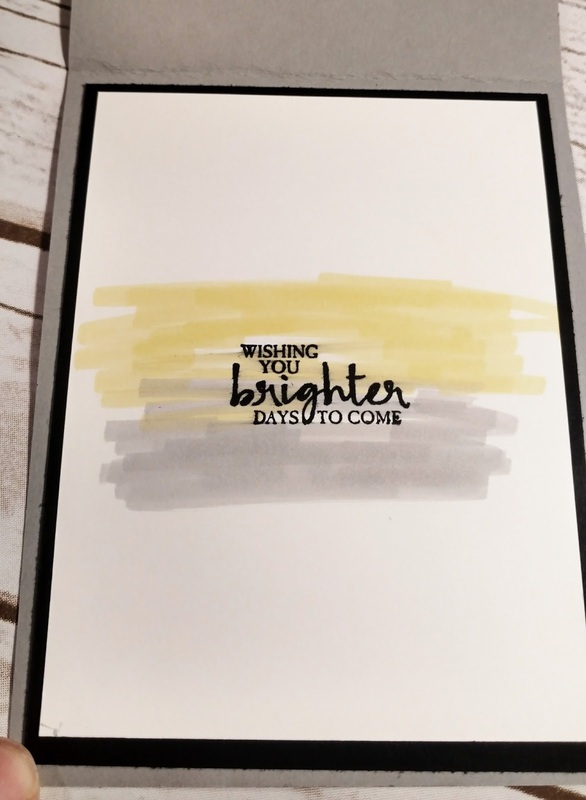 I just laid down some Smokey Slate and light Daffodil Delight and stamped one of the sayings from Beautiful you stamp set. Well, that's all for today. Hope you have a wonderful Friday. Come back and visit again. If you need an products check out my online store. If you have an opinion or question leave me a comment. Thanks and be blessed and bless others around you. Paper Craft Crew #266- Do you love to color? lot more and I am better at staying inside the lines. 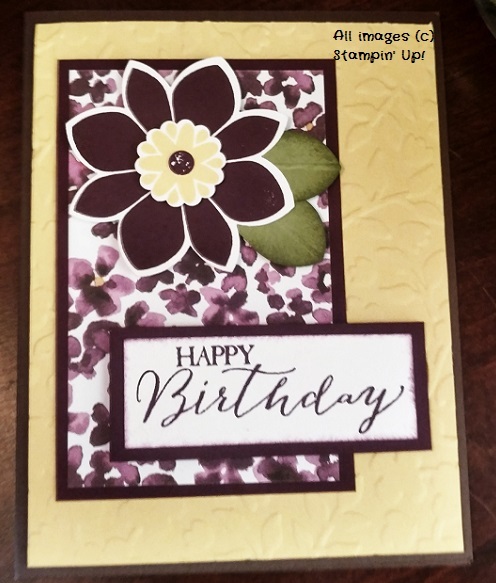 Have you looked at the Stampin' Blends yet? My project today was fun. 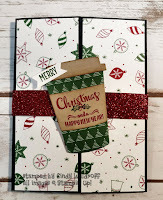 I wanted to participate in the PCC#266 Card sketch challenge and show y'all some ideas using the Stampin' Blends. I'm pretty happy with how this turned out. 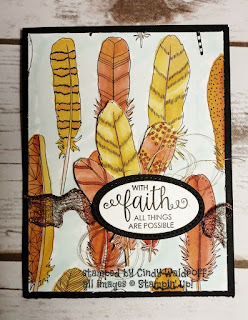 I used the light and dark markers in Pumpkin Pie, Calypso Coral and Daffodil Delight to color the feathers on the Just add Color DSP. I then fussy cut some feathers for my focal image, added the Copper Trim(I love) and some gold metallic thread. (It should have been copper, couldn't find it for nothing!) & the saying is from the Ribbon of Courage set. I really did have a good time coloring and playing with the shading and blending. I love the artist quality of the markers. I definitely need more practice! Hope you enjoyed this project as much as I enjoyed creating it. If you need any supplies, please shoot me an email or hop on over to my online store. Thanks for stopping in today. Have a wonderful blessed day and be a blessing to someone in need. Blends will bleed through- so protect your work surface. 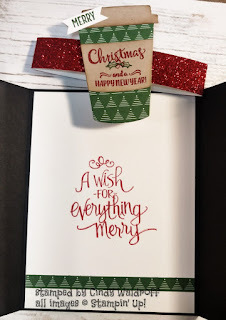 Stampin' Up's Thick Whisper White, Thick Very Vanilla and Shimmery White paper work best. It is very important you recap your markers as soon as you finish with one. Because they are alcohol based they will dry out quickly if left exposed to the air. Markers will work best with line images. I will be sharing samples using the Blends this week- so keep coming back to see a new project. I am so excited for y'all to try these. They are really amazing markers. Have a great day. Be blessed and be a blessing to those in your path today. Today I am sending the 5 weeks project for the 12 weeks of Christmas. If you want to get it be sure you are on my mailing list. 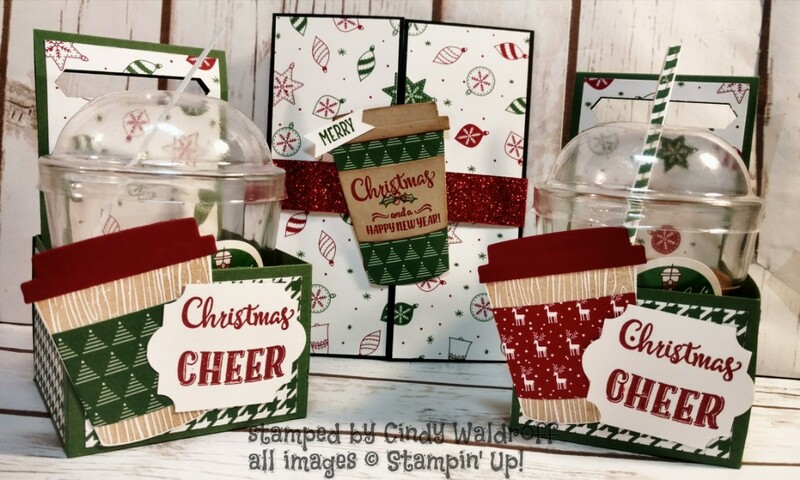 If you aren't on my list, click the Welcome to Stamping in Dixie page tab at the top of this post and you will see a sign up form. Just fill it out and submit. Thanks again. Later!